For 2011 there is no dedicated workshop for Slow Food Youth. While at Quillisascut participants of the workshop will be immersed in a working farm experience that includes caring for goats, poultry and honeybees. Students will also learn about gardening with a focus on species recognized by RAFT and the Slow Food Ark of Taste. They will participate in cheese making with farm fresh goat milk. 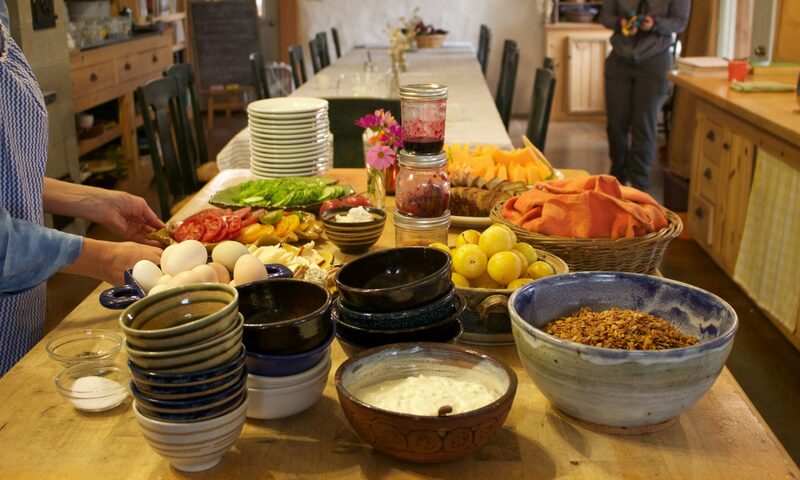 All at the farm will cook meals together using the fruits, vegetable and meat raised on the farm. Along with hands-on farming and cooking activities there will be daily discussions that help build a value system based on Slow Food’s principles that food should be “good, clean and fair” and why GMOs are a risk to the biodiversity that is needed to maintain sustainable food systems. The Slow Food Youth Workshop at Quillisascut is open to 12 participants. Participants must be between the ages of 18 and 29 to qualify as a youth. They need not be Slow Food members. Inspired by Carlo Petrini’s vision to bring young adults (ages 18-29) in to the Slow Food movement for “Good, Clean and Fair” food a group of us who attended Terra Madre 2008 in Turin Italy have collaborated on this week of hands on farmbased learning. Developed for youth from 18 to 29 years old. This workshop is partially funded by the generous sponsorship of The Community Building Foundation and being offered through Slow Food convivia.